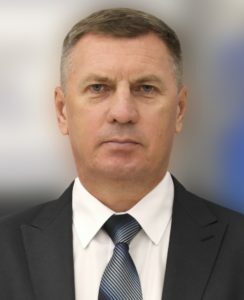 MD, PhD; The State Duma of Russian Federation, Committee Protection of Health, Expert Council of Complementary Medicine (Moscow) – member of the Board, 2014; European Society of Integrative Medicine (ESIM-Berlin) – member of the Board, 2014; World HirudoTherapy Organization (Moscow) – president, 2013; The Russian Professional Medical Association of Complementary and Alternative Medicine (Moscow) – vice-president, 2012. Graduated with honors from the Medical Institute of Yakutsk State University (Yakutsk, 1985). Pupil of academician K.R.Sedov (RAMS of the USSR, Irkutsk – Krasnoyarsk); a doctor and researcher, Nobel prize laureate (1976) D.C.Gajdusek (National Institute of Health, USA); professors V.M.Makarov, V.P.Alexeev, V.G.Krivoshapkin (Medical Institute of the Yakut State University, Yakutsk). Laureate of the Award of Komsomol of Yakutia in the field of science and engineering (1991) and the public Prize named. A.N. Kosygin for great achievements in the development of Russian economy (2013). Head the courses of «Hirudotherapy» and «Application of Medical Leeches in Complementary medicine and Rehabilitation»; section «Unindifferent» Russian Society of Physicians in Rehabilitation medicine (Moscow). Author of more than 85 scientific works and books, dedicated to issues of general pathology; history of medicine, cardiology, pulmonology and gastroenterology on the Far North; the Vilyui encephalomyelitis; hirudotherapy; capillaroscopy and microcirculation. Biologist, Doctor of biological Sciences (PhD), Natural health professional (Hirudothery). Freelance scientific collaborator in the Biebertaler Blutegelzucht GmbH (Biebertal, Germany). 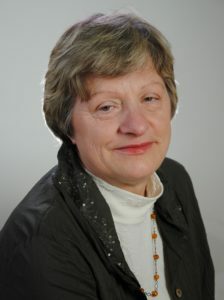 Member of the German Association of the promotion of therapies using Hirudinea and their species conservation. Author of scientific papers about problems of physiology and pathophysiology of animals, genetics of sawflies (Symphyta, Hymenoptera), and ecology of insects and leeches (Hirudinea); co-author of a guide about hirudotherapy (D.K.Schweizer & M.Westendorff: Hirudotherapie. Ein Handbuch der Blutegel-Therapie, Wil, 2013). MD, Doctor of medical Sci, a practicing obstetrician-gynecologist, Assistant Professor of obstetrics and gynecology of the Kursk State Medical University, Kursk, Russia. Graduated with honors from the Kursk State Medical Institute (1982). In 2010 he defended his doctoral thesis on “Chronic oophoritis: pathogenetic aspects of the formation, diagnosis and therapeutic tactics”. Member of the Russian Academy of Natural History (RANH) – corresponding member (2014), academician (2015). For merits in practical health service awarded the Governor of Kursk oblast commemorative badge «For Works and Fatherland» (2008). Practicing hirudotherapy in gynecology since 1995. The basic scientific directions: inflammatory processes of female genital огранов, chronic pelvic pain, female infertility, benign tumors of the uterus and appendages, hirudotherapy in gynecology. Is the author of more than 100 papers and one monograph, published in the Central and International press. The author of five rationalization proposals and one invention. A graduate of the Medical faculty of the Smolensk State Medical Institute (1983). About twenty years engaged in active revival and promotion of the use of medicinal leeches in medical practice. 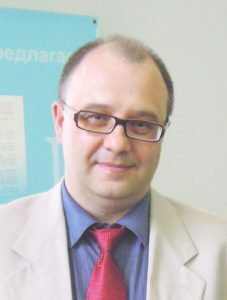 Chairman of the organizing committee of three Inter-regional Conferences for the Treatment of Medical leeches, held in Bryansk (2000-2002), an active member of the All-Russia (Moscow) and Interregional Exhibitions (Bryansk) 2000-2013. Member of the Organizing Committee of the First World Hirudotherapy Congress (Moscow, September 2013), the author of the photo exhibition “Forward into the Past!”, the official photographer of the Congress. An active participant in training courses of medicinal leech therapy and monthly meetings of the section “Unindifferent” Russian Society of Doctors for Regenerative Medicine. 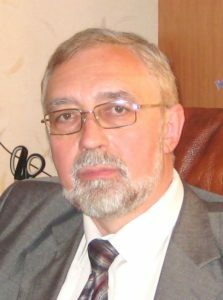 Graduated with honors from the 1-St Leningrad medical Institute named academician I.P.Pavlov (1971), and in 1974 – graduate biochemistry of the same Institute. The Creator of the first in the world purified live influenza vaccine, which was inspired more than 4.5 million people, without the expressed graft reactions in vaccinated people. 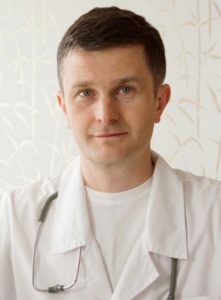 Creator of the first in Russia and in the world of the Department of Hirudotherapy and Natural cures, (1996), transformed in 2007 in the Academy of Hirudotherapy, headed by now. The founder of his own scientific school of hirudotherapy in Russia, with the author’s systematic approach in hirudotherapy. They trained about 300 гирудотерапевтов for Russia, CIS countries, Germany, Turkey, Mongolia, the Republic of South Africa. Author of more than 160 scientific publications in the field of biochemistry, virology and hirudotherapy, 26 inventions and patents, co-author of 4 industrial regulations on the production of vaccines, inventor of the USSR. He was awarded medals R.Virhow, Robert Koch Institute, diploma «Honorary scientist of Europe» of the European Academy of natural Sciences. President of the Association of hirudologist St. Petersburg, honorary member of the British Society hirudologist. MD, PhD, BAMS (Bachelor of Ayurvedic medicine and surgery), BNYT (Bachelor of Naturopayh & Yoga Therapy), Head of the Department of Ayurveda, Institute of Oriental medicine of RUDN University, Moscow, Russia. MD (A.M.) – Indian board of Alternative Medicine (Calcutta, India). The research is devoted to treatment of diseases through Yoga therapy and traditional methods of treatment (duration 2 years). Active participant of scientific-practical conferences and congresses at national and international levels. Participated in presentations and workshops on Ayurveda and Yoga therapy in India, England, Israel, Lithuania, Germany and Turkey, as well as in Moscow and other Russian cities. From 2010 to 2014 – Headed the courses of DPO Formation of “Healthy Lifestyle and N utrition” (Ayurvedic medicine) and DPO “Restorative massage techniques in Oriental medicine” (Ayurvedic massage) at the Medical faculty at the Russian University of Friendship of Peoples (RUDN University, Moscow).